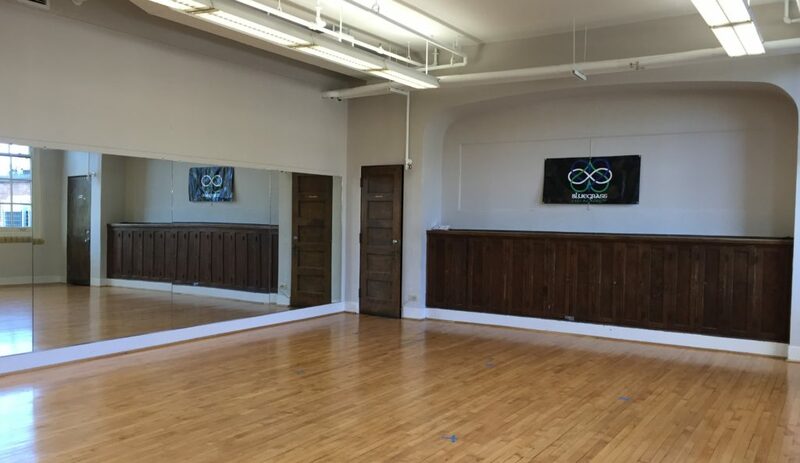 It’s an empty room now, but this evening a new chapter in the Lexington Irish dance scene begins when Bluegrass Ceili Academy opens its studio doors at Artworks at the Carver School for our first year of classes. We couldn’t be more excited about bringing our love of Irish dance and music to our community in partnership with the Lexington Parks and Recreation department. It’s not too late to sign up! Head to the Lexington, KY Parks & Recreation website to register… or just stop by classes tonight to try a class on us. If you like it, sign up on site! 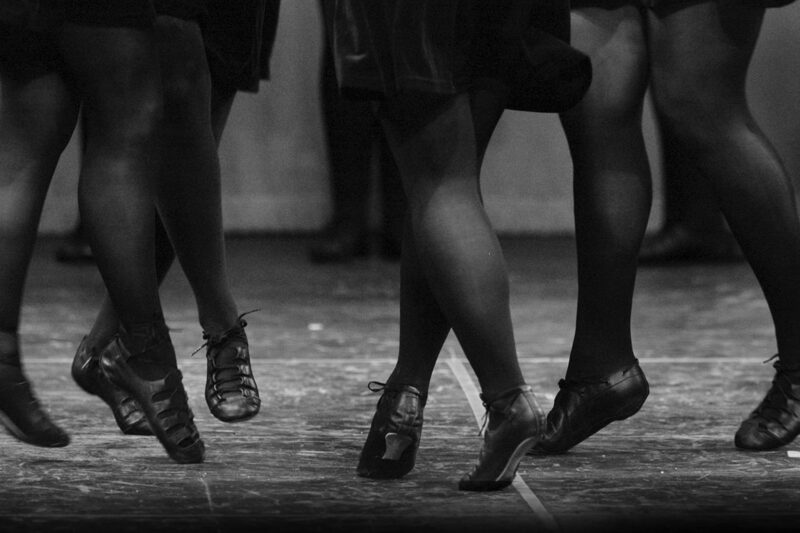 Children at 6 p.m., adults at 7 p.m.
As a child growing up in Lexington, I never had the opportunity to take Irish dance classes — the closest schools were in Louisville or Cincinnati. It was only when I moved to Washington, D.C., in the mid-1990s that the first Lexington Irish dance classes opened up. By that time, I was already studying my newly found art with a school in the D.C. area. Last summer, my time in D.C. wrapped up and Lexington called me home. After a few months off from teaching dance classes, I made the decision to get back into the studio and open a certified Lexington Irish dance school in my hometown, the Bluegrass Ceili Academy. In doing so, I hope to bring my love of this art, along with more than a decade of teaching experience and ceili expertise to my home here in Central Kentucky. 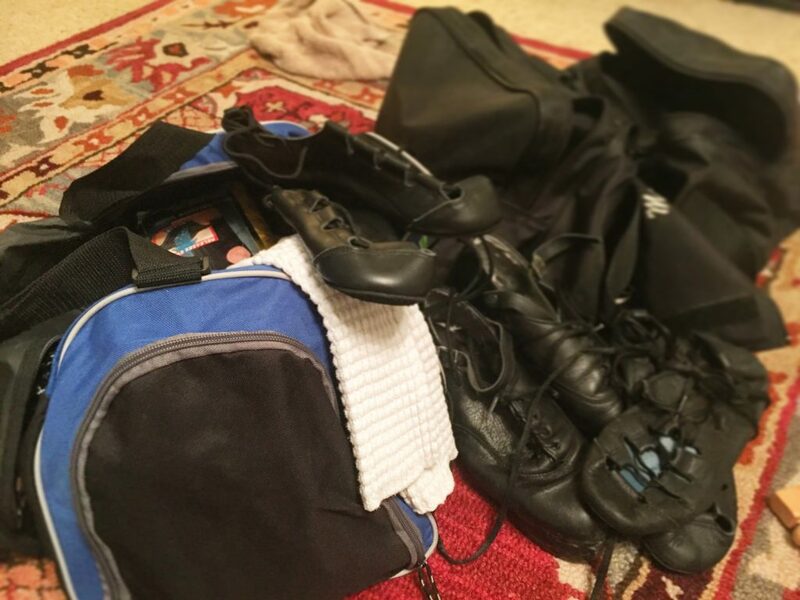 Symbolic of a new Lexington Irish dance chapter: unpacking my old dance bag and packing up the new one. At Bluegrass Ceili Academy, our mission is to support our community. We are dedicated to promoting traditional Irish dance by providing a supportive learning environment for dancers of all ages and skill levels. The environment there is electric. At the home of Kiddie Kapers & Company Dance Program, the halls are filled with dancers — young and not-so-young — who are getting ready for their classes. Tonight, a new group of students take on a new style of dance and we couldn’t be more excited!